In 4-H, we believe in the power of young people. We see that every child has valuable strengths and real influence to improve the world around us. 4-H is America’s largest youth development organization-empowering nearly six million young people across the U.S. with the skills to lead for a lifetime. The Composting Education Program is a community-based, volunteer driven program that educates and supports Santa Clara County residents in diverting household organic waste. Utilizing trained Master Composters, the program provides free classes, K-12 school visits and community events to teach backyard and worm composting with the goal of decreasing the amount of organic waste being sent to landfills as well as encourage compost use in gardens and landscapes. This program provides relevant and unique information to assist public and private land owners and livestock operators in Alameda, Contra Costa, Santa Clara and San Mateo counties in addressing natural resource management issues, such as water quality, grazing impacts, and controlling invasive species. Santa Clara County Master Gardeners are knowledgeable volunteers who have successfully completed a 16 week, 60 plus hour training program in home horticulture. Master Gardeners have become primary extenders of information from the University of California to the home gardeners in California. Our Nutrition, Family and Consumer Sciences Program provides Santa Clara County’s residents with educational resources that target our county's diverse multicultural communities. 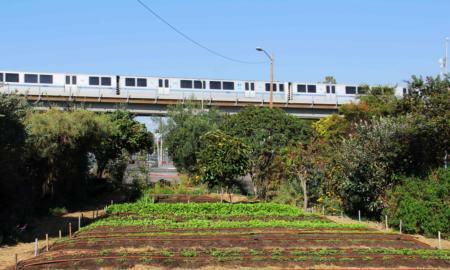 UC ANR Urban Agriculture offers resources on Starting an Urban Farm, Business Management, Production, Food Safety, Handling and Processing, Community and School Gardens, and Laws and Zoning Regulations in Santa Clara, Alameda, Contra Costa, San Francisco and San Mateo Counties.